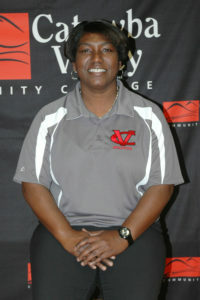 HICKORY – Catawba Valley Community College (CVCC) has scheduled a tryout for women’s basketball on campus on Sunday from noon to 4 p.m.
Head coach Tisha England invites prospective players to attend at the Tarlton Complex, where doors will open at 11 a.m.
Players should bring record of a current physical and wear appropriate gear. After the workout, a tour of the campus will be provided. For more information or to contact England about tryout details, reach her at tengland@cvcc.edu or call her at (828) 327-7000, ext. 4014.